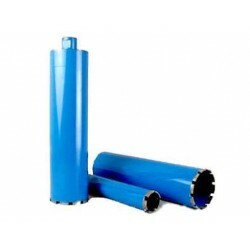 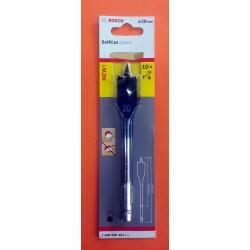 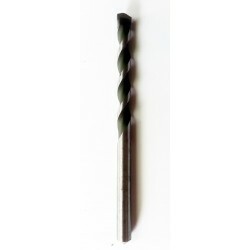 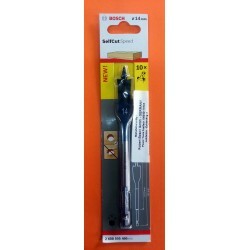 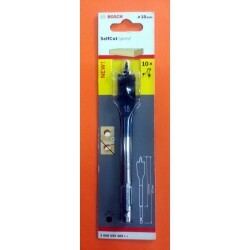 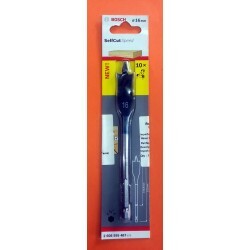 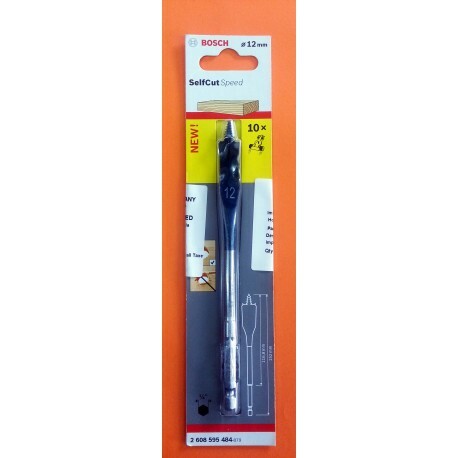 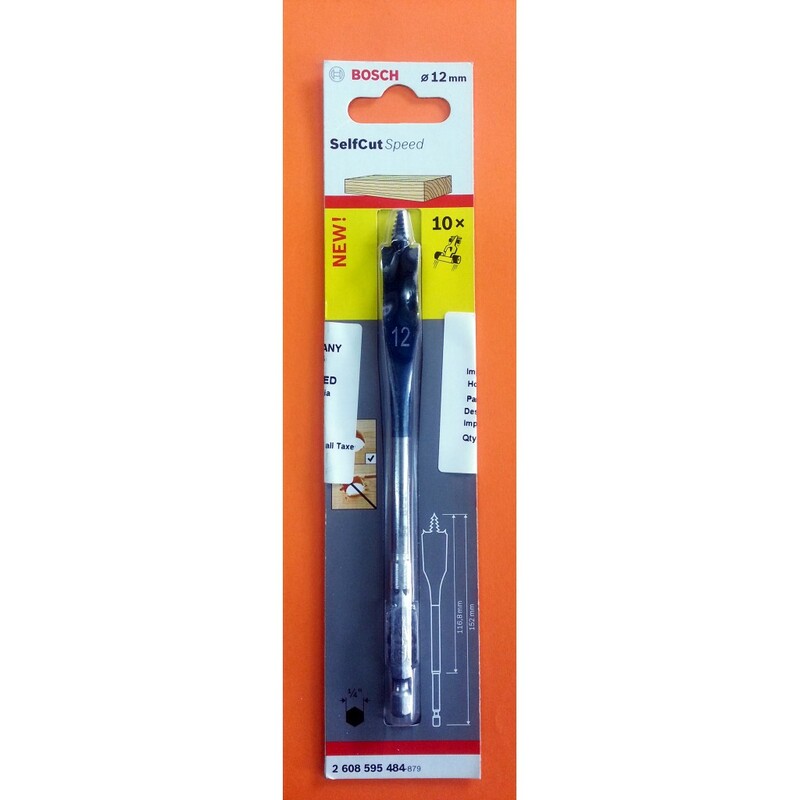 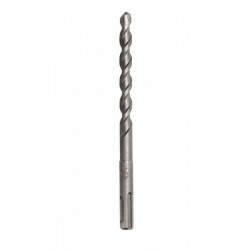 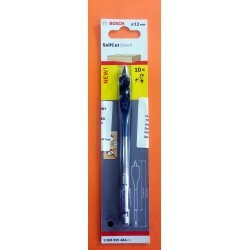 Flat Bit for drilling holes in soft materials such as wood and plastic. 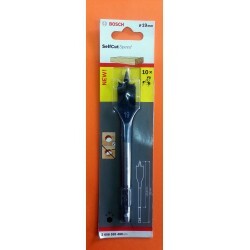 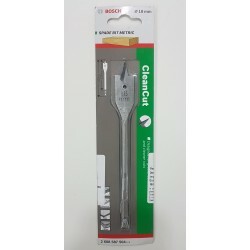 The Bosch Spade bit has a unique angled blade design which gives a cleaner cut and a longer life to the tool. 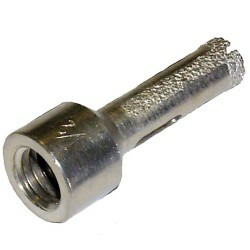 It also has a screw guide which helps to accurately position the bit. 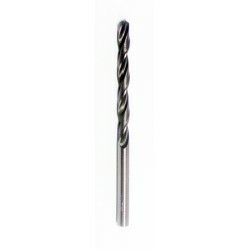 Two spikes on each end of the leading edge help the bit to easily penetrate the material.